The next smoothie ingredient to consider after adding your liquid, is to choose your fruit. Adding fruit to smoothies serves two main functions: to add sweetness and to act as a thickener. 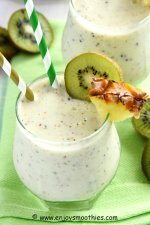 All fruits will add sweetness, but the best ones to give your smoothies that creamy consistency are: banana, avocado, peach, mango, coconut, fig and pear. Without them your smoothie will just be a colored, watery drink. The only other alternative is to use nut butters, but you won’t get that sweetness that comes from fruit. Fruit is a necessary ingredient in all smoothies, whether you are making green or fruit smoothies. They not only add that necessary sweetness to greens to make them palatable, but they also help to break down those greens, aiding digestion. If making a simple fruit smoothie, don’t be afraid to mix your fruits, such as combining citrus with berry or tropical fruits. Should you use fresh or frozen? Given that most fruits are seasonal, it is not always possible to get good quality fresh fruit year round, so I have no problem using frozen. I think it is far preferable to use frozen fruit rather than poor quality fresh, that has lost most of its nutritional value. The other advantage of using frozen fruit is that it gives your smoothie that chill factor without the need to add ice, and will actually help thicken your smoothie. Apples are a great source of soluble and insoluble fiber. Soluble fiber, such as pectin, helps prevent cholesterol build up, reducing the risk of heart disease. 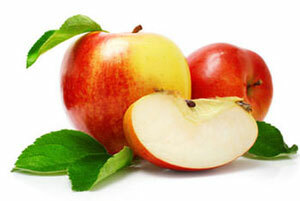 The phytonutrients in apples can help regulate blood sugar. You don’t need to peel your apples, in fact most of the vitamin C is located just under the skin. Simply remove the seeds and stem. This is one fruit that should not be frozen. Always use them fresh. When using apples remember that green apples are sour, whereas yellow or red are much sweeter. Avocados are the ideal smoothie ingredient. 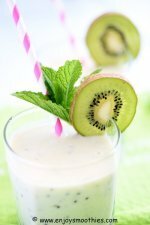 They make an excellent base for your smoothies, giving them texture and adding creaminess. They are also low in sugar and contain healthy unsaturated fats to give you lasting energy. Avocados are also rich in other essential nutrients, including fiber, B vitamins, vitamins E, C and K, folate and magnesium. They contain all eighteen essential amino acids. Before adding to smoothies peel, then cut in half and remove the pit. 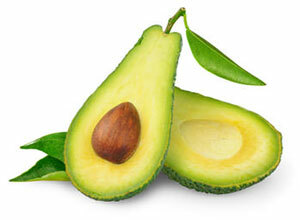 Avocado can be blended with other fruits or vegetables. But remember, when exposed to air the flesh turns brown. So you will need to use it immediately or brush with lemon juice. Bananas, like avocado, are used as thickeners and are one of the most popular smoothie ingredients. It's easy to see why. They work with just about any other fruit and will add sweetness to greens. They also freeze really well. Adding frozen banana to your smoothie will make it unbelievably smooth and creamy. Bananas are also one of the best sources of potassium, as well as containing vitamins A, K, C and E, folate, calcium, magnesium and iron. 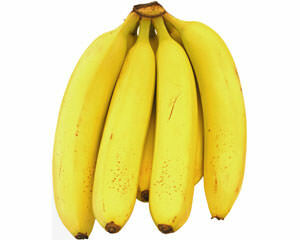 Bananas also have another great benefit, they are recognised for their antacid effect. By strengthening the surface cells of the stomach lining and protecting against acids they are recommended for stomach ulcers. 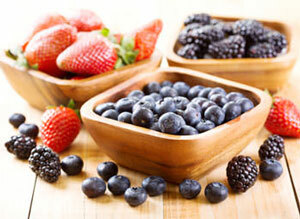 The berry group of fruit includes blueberries, strawberries, raspberries, blackberries, cranberries, and grapes. They are colorful, incredibly sweet little balls of pink and purple goodness. Not only are they antioxidant rich, but are also low in sugar, so you can happily add them to your smoothies fresh or frozen. Are full of fiber, vitamin C and other nutrients. Blueberries are full of phytonutrients antioxidants and are low in sugar. Another fruit that is low in sugar. Plus they are great for the urinary and digestive tract. Great for detoxing. Raspberries are a great fat burner due to their high fiber content and low sugar levels. Are packed with powerful antioxidants, help reduce inflammation and increase your metabolism. Grapes are rich in resveratrol which is a powerful antioxidant, but use them sparingly, as they are quite sweet. 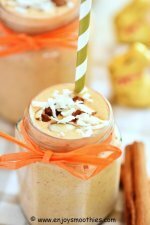 Coconut is another one of those smoothie ingredients that is universally popular. It can be added three different ways: as meat, water or milk. 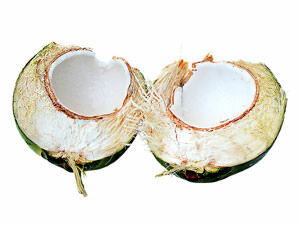 Coconut meat is found inside fresh young coconuts. The thin watery fluid found inside the coconut is called coconut water. This should not be confused with coconut milk which is made by adding boiling water to dried coconut. But young, fresh Thai coconuts can be pricey and a little difficult to find. The alternative is to use the pre-packaged coconut milk and dried coconut. Dried coconut meat may be shredded or flaked but is often soaked with sucrose or fructose solutions or corn syrup so look for the unsweetened varieties. Young coconut meat is an excellent source of manganese phosphorus and potassium and is a great source of dietary fiber. Coconut also contains protein, calcium, niacin folate, iron, magnesium and zinc. 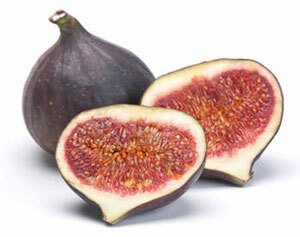 Figs contain benzaldehyde, a cancer fighting agent. They are also high in potassium, B vitamins, calcium and magnesium. You can use dried or fresh figs in smoothies. Dried figs are readily available in supermarkets year round. Fresh figs are available in some supermarkets and Middle Eastern stores in summer and early fall. When purchasing fresh figs, chose fruit that is soft and plump. Remove the skin first, then blend the flesh and seeds. 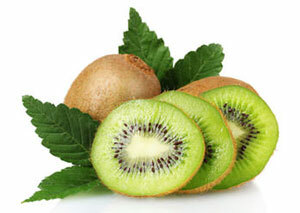 Kiwi fruit contains more vitamin C than other citrus fruit. Kiwi fruit are high in vitamins C and E. In fact they are one of the few fruits that contain vitamin E. They are also high in potassium. Kiwis need to be used fresh. Just peel away the furry skin and cut in half or quarters. 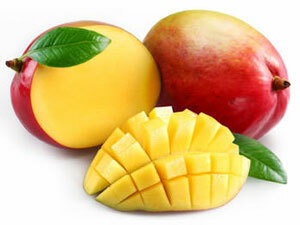 Mango is another excellent smoothie ingredient. They give your smoothies a nice creamy texture as well as adding sweetness. High in fiber, vitamins and minerals, they contain high amounts of beta carotene, the best known and most abundant of the carotenoids, which gives them their bright orange color. Foods containing beta carotene keep skin healthy, support the immune system and are one of the best cancer-preventing foods. Like berries, they can be used both fresh and frozen. 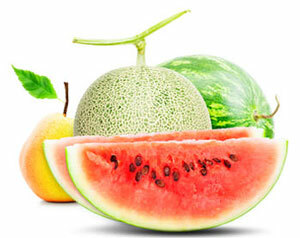 Melons, which include cantaloupe, honeydew and watermelon are very nutritious. They vary in color, ranging from yellow, pale green to orange.They are also an excellent source of vitamin A, vitamin C and potassium. Watermelon also contain high levels of lycopene, which is a powerful antioxidant. The levels are highest when the melon is ripe and juicy red. But once ripe, the antioxidant levels start to decline after several days, so watermelon should be used as soon as possible. Because they contain mostly water (about 90% of a melon is water) they are also low in calories and fat. But that also means they will add a lot of water to your smoothie, so you will need to adjust accordingly and use less liquid. There is nothing more refreshing than an orange smoothie. Until I started drinking smoothies seriously, I had never considered using oranges. Now I make them regularly, particularly during the winter months, when other fruits can be hard to find. 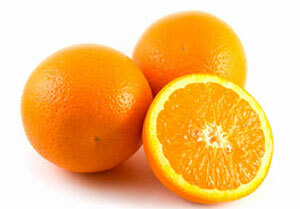 High in Vitamin C, they are great for warding off colds. They can be used whole or juiced. Make your own orange juice with a juice extractor. Or simply use the whole orange, minus the peel. Just peel and pull apart into segments, then throw into your blender. The juice of a lemon or lime can give smoothies a real tang as well as give you a vitamin C boost. Because of their tart favor, usually a squeeze of either a lemon or lime is usually sufficient. 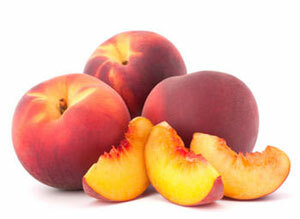 Peaches add a lovely creamy texture to smoothies and can be used fresh or frozen. They are full of fiber, which makes them quite filling. Rich in vitamin A and potassium, peaches also contain boron, niacin, some iron and vitamin C.
Peaches have a large pit that needs to be removed first. Freestone varieties (such as Loring and Redhaven) are easier to pit than clingstone varieties. 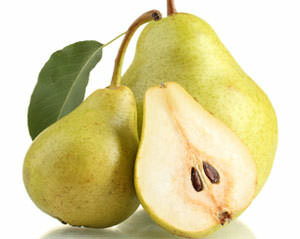 Pears are one of the oldest cultivated fruits. They are a good source of vitamin C, a great source of fiber, are low in sugar and contain a wealth of vitamins and minerals. Pears are one of those fruits that don’t freeze well so use fresh. The best varieties are Bartlett, Comice, Seckel and Bosc. They don’t need to be peeled, but wash first and remove the seeds and stem. Cut into quarters before adding them to your blender. I have to admit I absolutely hate peeling pineapples, but I do love adding them to smoothies. If your smoothie needs a bit of sweetening, pineapple is the perfect addition. 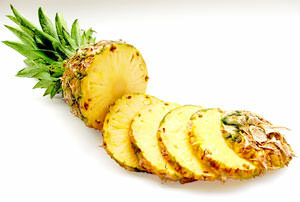 When using pineapple in smoothies, one fresh wedge equals approximately 1 cup. As well as being a good source of vitamin B1, pineapples also contain the enzyme bromelain, which has been found to have anti-inflammatory properties. Pomegranates have a hard, outer skin encasing the seeds. It is these juicy little jewels you add to your smoothies. To get at them simply cut your pomegranate in half, then quarters. Place the quarters in a bowl of cold water and gently ease the seeds away from the skin using your fingers. 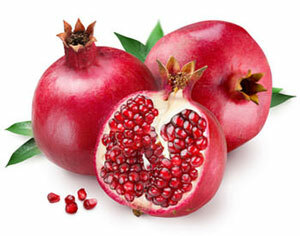 Although not cheap, the health benefits of pomegranates are numerous. Can you Use Dried Fruit in Smoothies? Don’t forget to consider using dried fruits in your smoothies. Because they have been dried, their flavor and sugar content are concentrated, so use sparingly. Dates, prunes, dried apricots, figs and raisins are all great additions to smoothies. But remember, if using dried fruits you will need to add ¼ cup of extra liquid to the smoothie. Or you can reconstitute the fruit first by adding the extra liquid to the fruit and not the smoothie. Simply pour boiling water over the fruit until covered, then leave for 30 – 60 minutes or until the fruit is plump and soft. Remember to drain the fruit before adding it to the smoothie. The added bonus is that the liquid can be reserved for use in other recipes. It is recommended that you eat at least two serves of fruit a day. One serve equals a medium apple, banana, orange, pear, two plums, apricots or kiwifruit. If you include two fruits in a daily smoothie, you will easily achieve your fruit quota in one meal.